There are so many Sherlock TV series, movies and what-have-you these days that it can be hard to keep track of them all (or even maintain interest). Same certainly can’t be said about Kerry Greenwood’s character, Phryne Fisher, even though she has been pretty popular on Miss Fisher’s Murder Mysteries in recent years. Oh, and in game form too, courtesy of Tin Man Games’ Miss Fisher and the Deathly Maze, which is about to ditch mobile exclusivity. Should help boost her presence, ya know? Not that the mobile version of Miss Fisher and the Deathly Maze, which spins an intriguing whodunnit of murder most foul, isn’t doing well, mind you. But getting the game onto Steam, higher resolutions and other desktop-centric benefits? That’s a pretty big deal – especially given the popularity of visual novels already on this particular platform. 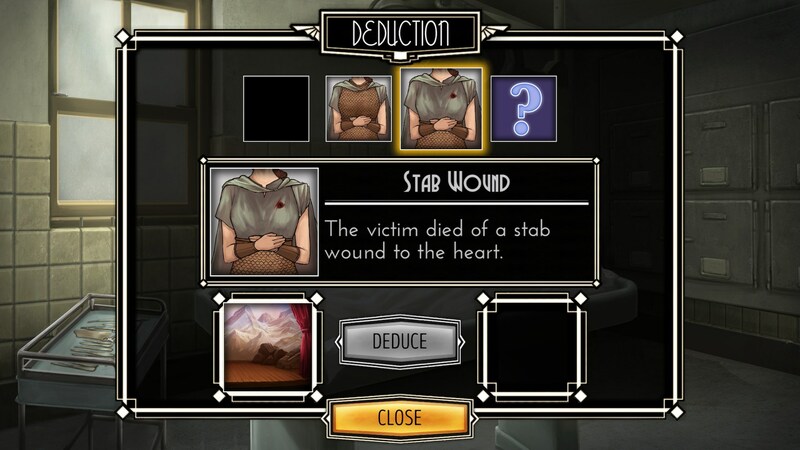 Too bad genre entries with proper puzzles to solve (or detective work, in this case (get it?)) are few and far between, most simply being, well, interactive books. With pictures. That said, from what I’ve played of the Android version, it does seem to be more visual novel than detective game; but if the writing maintains a high level of quality, is that actually a bad thing? There’s plenty of choices to make still, including who to grill for information, which locale to visit next, and what to say during conversations/interrogations; for without clues, there’ll be no murderer catching. Which would be pretty bad, no matter how you look at it. 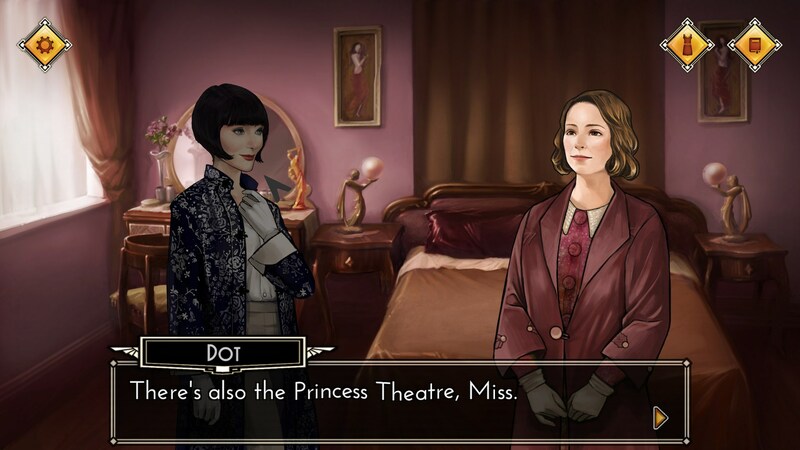 So put on some jazz music and get ready for an interactive journey back to 1920s Melbourne, when Miss Fisher and the Deathly Maze hits Steam in ‘Early 2018’. Can’t wait for that? Fire up your favorite Android or iOS device for a free taste in the form of Episode 1 (Episode 2 being a $2.99 IAP), then. Can’t beat that price tag.